Wheat germ is the embryo of the wheat kernel. It is separated from wheat being milled for flour. Wheat germ is sodium and cholesterol free, and dense in nutrients. It is rich in vitamin E, magnesium, pantothenic acid, phosphorus, thiamine, and zinc. It is also a source of coenzyme Q10 (ubiquinone) and PABA (para-aminobenzoic acid). Two tablespoons of wheat germ contains 65 calories, 6 grams protein, 2 grams of unsaturated fat, and 2 grams of fiber. Wheat germ is a food source, and is part of the breads and cereals food group. Its high vitamin and mineral content make it an extremely nutritious food. Wheat germ contains the following nutrients. Vitamin E. One cup of wheat germ contains 19.5 mg of vitamin E, and one tablespoon of wheat germ oil is packed with 26.2 mg of vitamin E. Vitamin E is an antioxidant, which is thought to protect the immune system. Magnesium. Magnesium assists the body in producing and transferring energy, and helps to maintain heart, bone, muscle, and circulatory system health. Pantothenic acid. The panthothenic acid in wheat germ helps the body process and use energy from food, and metabolizes cholesterol and fatty acids. There is approximately 1.24 mg of pantothenic acid, also called vitamin B5, in 0.5 cup wheat germ. The U. S. recommended daily allowance (RDA) of pantothenic acid is 5 mg/day. Phosphorus. A quarter cup serving of wheat germ contains 232 mg of phosphorus. Phosphorus helps build bones and teeth and assists in metabolism. Adults should consume approximately 700 mg of the mineral daily. Thiamine. Thiamine, one of the B complex vitamins, is essential to normal growth, and to building healthy skin, muscle, bones, and hair. It also promotes normal functioning of the nervous system, and helps the body to metabolize alcohol. One cup of wheat germ contains 1.08 mg of thiamine, and the RDAs for men and women are 1.2 mg and 1.1 mg, respectively. Zinc. Wheat germ contains some zinc, a trace mineral and antioxidant essential for proper growth, immune system function, and hormone production. Coenzyme Q10. Coenzyme Q10, or ubiquinone, is an antioxidant that assists cells in transferring energy and oxygen. Para-aminobenzoic acid (PABA). PABA helps to maintain the balance of intestinal flora, or bacteria. Wheat germ is also high in fiber, and contains approximately 1 gram of fiber per tablespoon. A diet high in fiber can be useful in regulating bowel function (i.e., reducing constipation), and may be recommended for patients at risk for colon disease, heart disease, and diabetes. 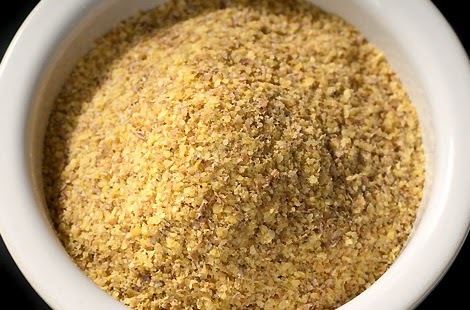 Wheat germ is used extensively in animal feeds, but for human consumption, wheat germ cereals and wheat germ oil are the two most popular preparations of the grain. Both are available in most grocery and health food stores. A jar of vacuum-packed wheat germ can be safely stored up to one year unopened. Opened jars should be refrigerated, where they can be stored up to nine months if stored properly and tightly sealed. 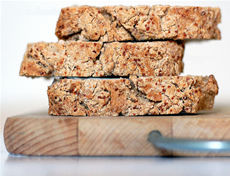 To increase fiber and nutrients in bread and cereal recipes, wheat germ may be used to replace 0.5–1 cup of regular flour. Because wheat germ contains fat, proper cold storage is necessary to prevent spoilage. There are no known side effects to wheat germ consumption at normal dietary levels.